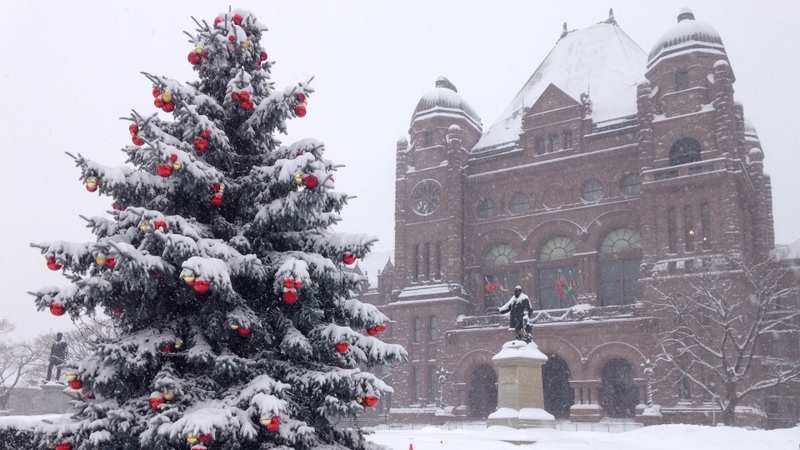 From smoking bans to fees for drivers, several new laws and amendments took effect in Ontario when the new year began. Toronto.CTVNews.ca looks at the changes that came to to Canada's most populous province starting Jan. 1. Smokers are no longer be permitted to indulge on restaurant and bar patios with the latest amendment to the Smoke-Free Ontario Act, whether the space is covered or not. Smoking is also banned on playgrounds and publicly owned sports fields, including basketball courts, baseball diamonds, soccer fields and ice rinks. Violators may face fines of $250. It is illegal to sell tobacco products on university and college campuses, including buildings owned or leased by schools and student unions. Anyone caught selling tobacco could be slapped with a $300 fine. Starting Jan. 1, all drivers purchasing a non-graphic personalized licence plate will have to pay $310, up from $251.65. The fee for plates with graphics, like a loon or the symbol of The Royal Canadian Legion, will remain at $336.40. General plates and certification now cost $20, up from $15. In an effort to increase the number of women in high-ranking positions, public companies based in Ontario now have to disclose the number of women on boards and in executive officer positions. They also have to provide official policies regarding the representation of women on corporate boards and information on hiring and contract renewal processes. Ontario's building code has been amended to address the needs of the deaf and hearing impaired. In 2015, all fire alarms and smoke detectors in multi-unit residential buildings and suites must include a visual element to warn those who can't hear alarms. To improve accessibility, all multi-unit residential buildings must also include power-door operators in shared spaces, including parking lots, washrooms and common rooms. Six years after a series of explosions sent fireballs shooting into the air over the Sunrise Propane facility in Toronto, the Ontario government is targeting the industry. Starting Jan. 1, propane facilities designated as "high risk" will be inspected more frequently than lower-risk facilities. Previously, all facilities were required to perform safety inspections only once per year. At least one senior management person is now required to complete safety training that is mandatory of staff who directly handle propane. Tow truck owners and operators may soon have to register with the Commercial Vehicle Operator Registration following a consultation in the coming weeks. The exact changes will be worked out between representatives of the CVOR and the industry, but the proposed Liberal bill suggests drivers will need permission before charging for services, as part of an effort to protect consumers from price gouging. They will also have to post prices, accept credit card payments and provide invoices. The government hopes the law will help curb insurance fraud and lead to lower insurance premiums for drivers. Starting Jan. 1, those who have received items of value through the will of a deceased person will have 30 days to file a report on the assets with the Ministry of Finance. Estate trustees must provide a detailed list of all real estate and personal property (including cash, vehicles, stocks and investments). The report must be filed in addition to an application submitted to the Ministry of the Attorney General, and the estate trustee will still have to pay a probate tax on the value of the estate.